Why Did My Psychic Abilities Stop? At one point in your psychic life you may wonder why your psychic abilities stopped. There are several reasons why you might suddenly be disconnected from your abilities. Once you determine why your psychic abilities are missing, you can make a plan and begin to remedy your circumstances. Psychics aren't immune to energy blockages. Fear can wreak havoc on psychic abilities. If you're going through a negative period where you're fearful, you could find your abilities blocked due to a self-defense mechanism. For example, if you're afraid of moving forward in life or afraid of financial losses this uncertainty can create obstacles that you haven't recognized. Take time out to meditate and examine what you might be afraid of. Once you're able to zero in on the issue, you are halfway to resolving it. Another possible cause of diminished abilities could be the result of performance anxiety. If you are practicing as a professional psychic, the need for your abilities to be on demand can negatively impact your overall abilities, as well as your health. The need to be able to conduct a reading when called upon creates an expectation that may be difficult to meet. Slow down and reevaluate your career. Are you pushing yourself too hard? Are you placing unreasonable demands on your time and abilities? Reduce the number of readings you do each week. Take some 'me' time and indulge in a favorite pastime. Take a mini-vacation to recharge by the sea or in the mountains. Reconnect with nature and yourself. You cannot run from yourself. Eventually, denial takes a toll on you emotionally, physically, mentally and spiritually. You will need to take the time to work through the emotions associated with your psychic abilities. You must find some way to reconcile who you are with your ideal of who you feel you should be. Typically, the pressure to fit in comes from the outside world. Your goal should be self-acceptance and being at peace with the person you are. Be yourself above all else. Everyday stress can accumulate to the point that your psychic energy is overloaded. Better known as being "burned out," you may a victim of a lifestyle that's no longer working in your best interest. Assess your life situation and identify the stresses you are facing on a daily basis. Are there things and situations in your life that you can change or get rid of? Do you desire a different lifestyle than the one you currently have? Make positive changes to reduce stress. Engage in physical activities to help reduce physical stress. Once you have a less stressful life, your abilities will resurface. If you've gone through life-changing situations, your psychic abilities may have suffered in the process. 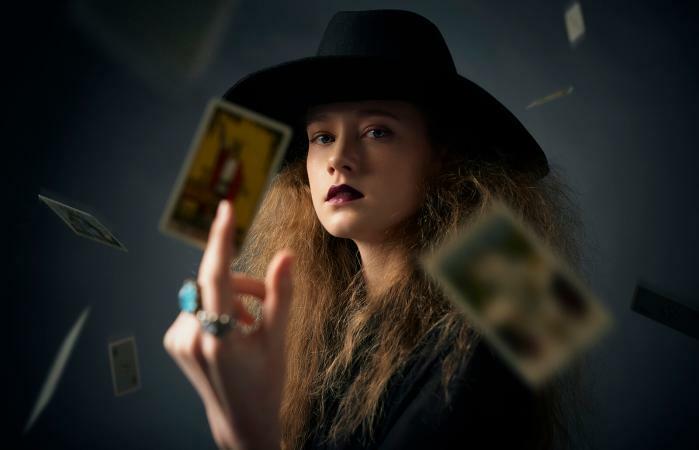 A marriage, divorce, death, birth or job change are just a few of the life-changing events that can send psychic abilities running to the hills. Slow down. Take a deep breath and look around you. Take personal stock of the changes you've made or have needed to adapt to that made a big impact on you. Make a list of each change that impacted your life. Examine each change from a 360° perspective. Is there anything you can do to ease a transition, heal an emotional would or prevent from continuing to happen? Once you have a clear idea of the things on your Need to Cope list, you can set a new course that includes healing. Sometimes during the process of developing your current abilities and preparing to receive new abilities, you'll find yourself slipping into a slump. This is a vital respite to allow your energies to gather together so when you make that jump to the next level, it will be as easy as walking through an open door. The only remedy for this type of frequency adjustment is patience and rest. You need to rest up, so you have the energy level required for a cosmic and spiritual transition. You could be the victim of a psychic attack that has rendered your abilities useless. If you feel the cause of your distress is coming from an outside source, it's time to protect yourself. A psychic attack can be countered if you act swiftly. The first thing you want to do is surround yourself in a bubble of white light and take other steps to protect yourself with crystals and symbols of your faith. Prayers and mantras will reinforce your protection, so your abilities can return to you. Once you have a firm understanding for why your psychic abilities stopped, you can quickly remedy the situation. You want to maintain a positive attitude and visualize yourself using your psychic abilities once more.